This is the Dreadnaught and Cutaway model From "Smokin Hot Guitars" They are hand built with the utmost detail. 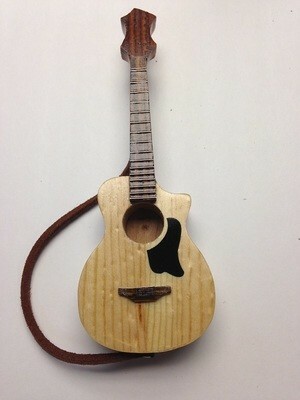 All of the qualities that make a great guitar have been added to this pipe. 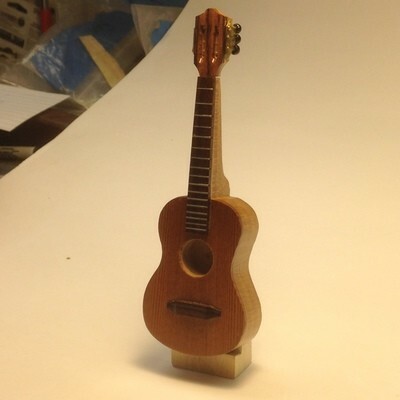 It features a bookmatched piece of quartersawn spruce along with a rosewood fingerboard and bridge. The leather strap was added to insure that you never loose the removable headstock. It also comes with a stand and a Certificate of Authenticity. Each guitar pipe has been inspected by a professional luthier and assigned a ser # that proves it's origin.These wood pipes are no cheap imitations. They are the real deal! Please call 440-474-2141 for " Special Wholesale Pricing"